What better way to make your EPT debut by winning it? Andre Lettau did just that after topping a record-breaking 1,496 runner field in Barcelona. The German normally plies his trade on the online tables but put in a memorable shift in the Catalan capital to walk away with €794,058. Lettau may have taken the title but he wasn't the biggest cash winner. That accolade went to American pro Sam Phillips who pocketed €1,021,275 after agreeing a three-way chop with Lettau and 50-year-old amateur Hossein Ensan. Ensau enjoyed an amazing week in Barcelona, winning the first ever EPT Seniors event earlier in the week for €4,385. He re-invested €1,050 of that into a Main Event satellite and managed to parlay it into a massive €652,667 score. When he departed in third, it was left to Lettau and Phillips to battle it out for the title. The German had a big chip lead at the start of heads up play but an early double up with pocket aces put Phillips back in the hunt. Roared on by a raucous rail, Lettau eventually sealed the deal when his Kc10s turned into trips by the river to crush the American's 8d7d. 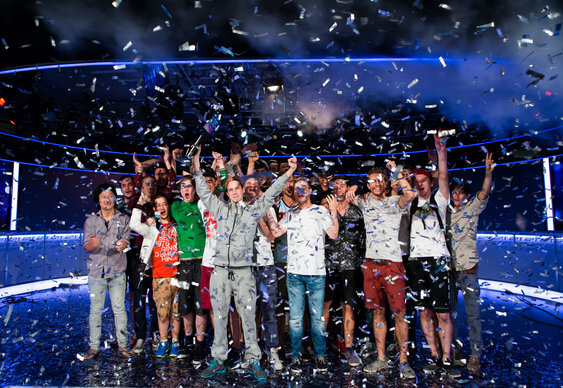 "I'm excited to have won," Lettau told the PokerStars blog. "I want to say thanks to my rail." The German admitted that he'd rather have the extra cash than the title, but added, "It's OK to be an EPT champion."